And, Jerusalem must remain Israel’s undivided capital; very much in line with the persistent refrain of the Israeli Prime Minister, and another principle which the Palestinian leadership could not possibly accept. This claim that Jerusalem must be the undivided capital of Israel flies in the face of previous American policy as upheld by every American president since 1967, and is in direct contradiction to UN Security Council Resolution 242, the basis of the American position since the ’67 War, at least up until the Obama administration whose support for this principle is either weak or non-existent. 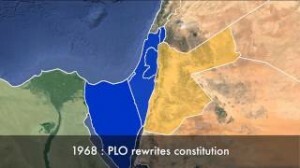 It also runs in contradiction to UN General Assembly Resolution 184 upon which Israel claims international legitimacy. That resolution set aside Jerusalem as a UN administrated area neither a part of the Jewish or Arab states.